A community still in the process of achieving political visibility, trans people have been relatively neglected in hate crime research in comparison to other commonly targeted groups. What we do know about anti-transgender hate crime provides cause for significant concern. The growing body of research in this area finds that trans people are among those identity groups at most risk of hate crime victimisation, repeat victimisation and damaging long-term effects from hate crime victimisation. 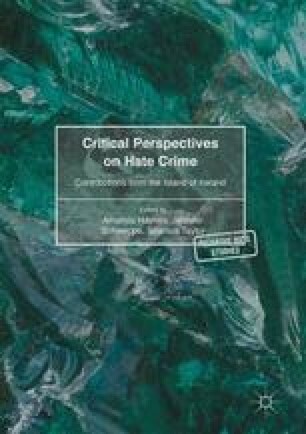 Often subsumed within the category of homophobic hate crime, or simply ignored, this chapter argues for the value of addressing anti-transgender hate crime as a category in its own right.